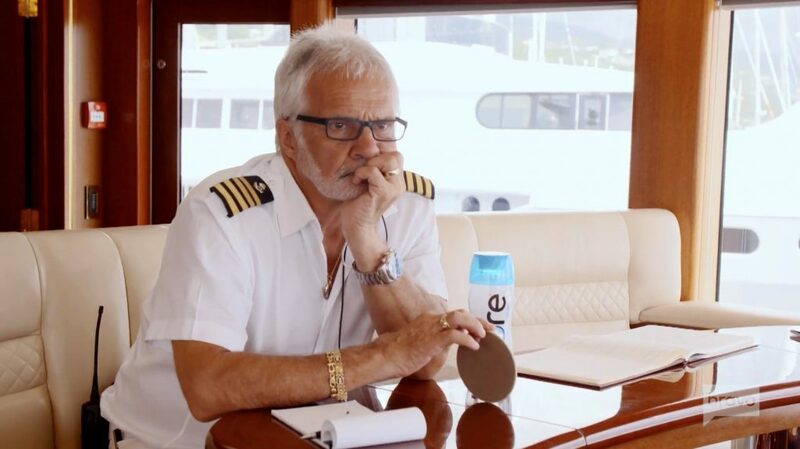 Even though Captain Lee Rosbach is such an integral part of Below Deck, he really isn’t a part of the drama. Sure, he has to reprimand a crew member here and there, but he is not a part of their late night antics. Essentially, he ends up watching this show just like the rest of us who didn’t get a chance to turn up with the crew. Now Captain Lee is sounding off on which crew member is “most likely to” do various things. Rhylee Gerber’s name came up the most. By far. Even so it’s not necessarily a bad thing. It’s better to be fun and interesting than to be boring. No one tunes into reality TV for boring. Unfortunately for Kate Chastain and Nico Scholly they have to deal with difficult crew members in addition to high maintenance charter guests this season on Below Deck. Aside from Captain Lee Rosbach, everyone on the show this season is new to reality TV and most of them are new to the yachting industry. As frustrating as that must have been for Kate and Nico, it does give them a lot of interesting things to talk about while they do press to promote Below Deck’s latest season. After what felt like the longest break ever, Watch What Happens Live is back with new episodes. It’s perfect timing with the Below Deck Season 5 premiere, so it was fitting that Kate Chastain and Nico Scholly were Andy Cohen’s guests. They are the only returning crew members from last season. Kate, Nico, and Andy discussed the Below Deck episode and even shared their commentary on some of the Below Deck Mediterranean drama that went down during its last season. Plus, two Real Housewives rang the door bell for some surprise appearances. Season 2 of Below Deck Mediterranean was a million times better than anyone ever expected. Minus a couple people who had no story line, everyone else was involved in some epic love triangles and arguments – and it didn’t just stay on the boat. They were beefing in interviews and on social media and I was living for it. One of the most ridiculous feuds went down during a Watch What Happens Live episode when Hannah Ferrier and Bobby Giancola appeared. It was off the rails. They insulted each other back and forth and Bobby even accused Hannah of “offering herself” to him. It was absolutely insane. 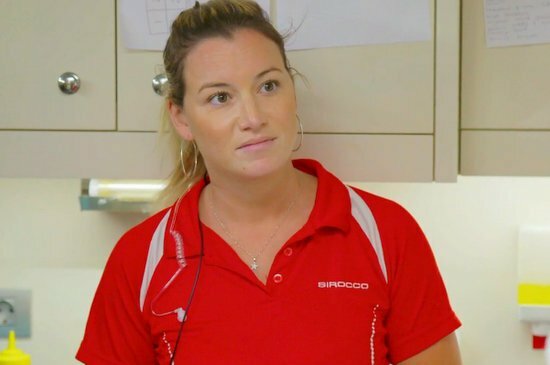 This has definitely been a frustrating charter season for Below Deck Mediterranean star Hannah Ferrier. She had tension with pretty much everyone on the boat except for Lauren Cohen– and then there’s that whole hookup with a charter guest and what I’ve started to call iPad-gate. The drama sounds like a lot to handle and then on top of that she actually has a job to do which seems like a whole lot of work. The second season of Below Deck Mediterranean is definitely exceeding all expectations. The drama is never ending. 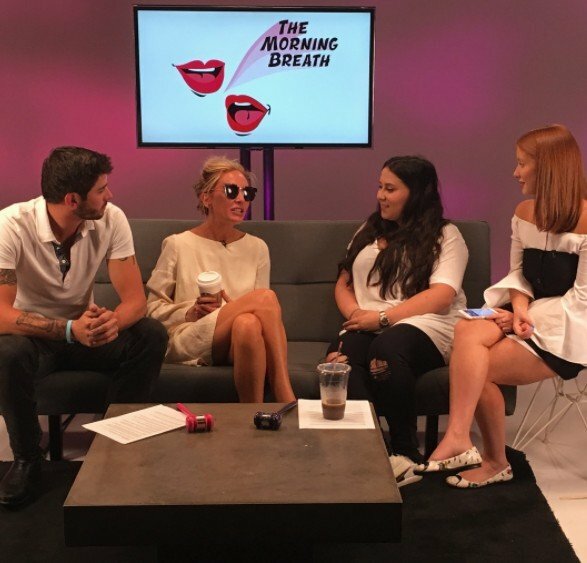 From Malia White’s love triangle with Adam Glick and Wes Walton to Hannah Ferrier’s unexpected hookup with a charter guest, there is something crazy happening during every charter. 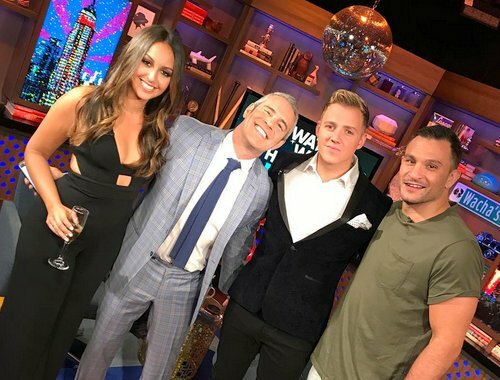 Lauren Cohen and Max Hagley have stayed out of the fray (for the most part), but that didn’t stop them for sharing their opinions and hinting at what to expect from the rest of the season when they talked with Andy Cohen on Watch What Happens Live. Whether you love watching Kate Chastain on Below Deck or you can’t stand her, you have to admit that she’s interesting. Kate always has a lot to say on everything…and everyone. She has had her fair share of drama with her fellow cast members, but she actually keeps in touch with most of them- even her former flame Ben Robinson. Kate had a lot to say about Ben, but she also talked about some other members of the Below Deck and a couple people from Below Deck Mediterranean. She even blamed the success of Vanderpump Rules for Bobby Giancola’s recent off-putting behavior.